Sacchi was never a professional football player (he had played as a part-time footballer in amateur clubs for some years) and for many years worked as a shoe salesman. This led to his famous quote directed at those who questioned his qualifications: "I never realised that in order to become a jockey you have to have been a horse first". At Milan, Arrigo Sacchi again faced problems of credibility. The press argued that such an inadequate player could never go on to be a successful coach, and that even Berlusconi—who had played football at amateur level—was probably a better player. However, Sacchi coined a witty term in response: "I never realised that in order to become a jockey you have to have been a horse first". Sacchi was an instant success at the San Siro, leading Milan to its first Serie A title for nine years in his debut season, following up the league title with an Italian Supercup in 1988. Although the team was not as strong as they had been in the previous season, they were victorious again in 1990. After victories against HJK Helsinki, Real Madrid and KV Mechelen, Milan defeated German giants Bayern Munich in the semi-final, thanks to an away goal. The Dutch magic worked again in the final, as Frank Rijkaard scored the only goal of the game through a Van Basten assist, to conquer Sven-Göran Eriksson's Benfica. By winning the final, Milan became the first team which retained the title since 1980, and the last team to do so to date. 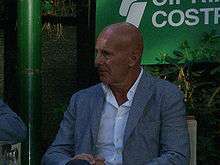 Sacchi would also capture back to back European Super Cups and Intercontinental Cups in 1989 and 1990, and would lead Milan to the final of the 1989–90 Coppa Italia, where they were defeated by Juventus. The following season saw them defeated by eventual runners-up Olympique de Marseille in the quarter-final, and finish second in Serie A behind Sampdoria, whilst they were eliminated in the semi-finals of the Coppa Italia by eventual champions Roma. This was Arrigo Sacchi's last season with i Rossoneri. Sacchi had brief spells in the Spanish Primera Liga, taking charge of Atlético de Madrid in 1998 after his second spell with the Rossoneri. He could only guide los Colchoneros to a disappointing 13th place in the league in his only season at the Vicente Calderón Stadium, although they did qualify for Europe having finished as runners-up in the Copa del Rey. He later returned to Madrid, this time at the Bernabéu as director of football at Real Madrid for the 2004–05 season. He also briefly returned to Parma in 2001, replacing Alberto Malesani, but soon resigned after disappointing results, and was replaced by Renzo Ulivieri. Nicknamed "the Prophet of Fusignano", Sacchi favored a fluid, yet highly organised attacking 4–4–2 formation, discarding the traditional libero in an era where Italian football was mainly focussed on strong defensive play, and Helenio Herrera's Catenaccio tactics were still a strong influence. Defensively, Sacchi's teams adopted a zonal marking system, which had already been introduced by his predecessor Nils Liedholm, and were known for their defensive strength, conceding few goals; indeed, the defensive quartet of Maldini, Baresi, Costacurta, and Tassotti, which Sacchi deployed both at Milan and with the Italy national team, is regarded as one of the greatest defences of all time. 1 2 "Greatest Managers, No. 6: Arrigo Sacchi". ESPN FC. Retrieved 7 February 2015. ↑ "The greatest teams of all time". The Telegraph. 4 July 2007. Retrieved 11 June 2015. 1 2 3 4 5 6 7 8 Paolo Menicucci (4 July 2015). "The greatest teams of all time: AC Milan 1988-90". UEFA.com. Retrieved 9 March 2016. ↑ "La Uefa: "Il Milan di Sacchi è la più grande squadra di sempre"" (in Italian). Mediaset.it. 14 July 2015. Retrieved 9 March 2016. 1 2 "No experience required". Fifa.com. 12 December 2008. Retrieved 19 October 2010. 1 2 Guido Conti (8 April 2015). "Il pallone secondo Sacchi" (in Italian). La Gazzetta di Parma. Retrieved 31 March 2016. 1 2 3 4 5 6 "Sacchi to take over at Parma". ESPN.com Soccernet. 9 January 2001. Retrieved 31 March 2016. ↑ "L'uomo del giorno – Arrigo Sacchi: lo stratega che ha fatto la storia del Milan torna a casa". Calcioweb. 27 November 2014. Retrieved 18 January 2015. ↑ Paul Madden (1 April 2010). "Spanish Cumpleanos: Javier Irureta". Goal.com. Retrieved 19 October 2010. ↑ Richard Bright (18 December 2001). "Overseas Football: Passarella sacked by ailing Parma". The Telegraph. Retrieved 31 March 2016. ↑ "Sacchi to leave Real Madrid at end of year". ESPN FC. 6 December 2005. Retrieved 1 April 2016. ↑ Gianni Mura (13 May 1988). "ALLE RADICI DELL' ARRIGO" (in Italian). La Repubblica. Retrieved 3 June 2015. 1 2 3 4 "Barcelona 2011 vs AC Milan 1990s". Sports Illustrated. 19 April 2011. 1 2 3 "Greatest Managers, No. 6: Arrigo Sacchi". ESPN. 7 August 2013. 1 2 3 4 "Great Team Tactics: Breaking Down How Arrigo Sacchi's AC Milan Took Down Europe". 1 December 2012. 1 2 3 "Arrigo Sacchi And His Italian Revolution". Forza Italian Football. 27 August 2012. ↑ James Horncastle (21 March 2016). "Gianluigi Buffon record cements his legacy as greatest keeper of all-time". ESPN FC. Retrieved 21 March 2016. ↑ Paolo Bandini (21 March 2016). "Gianluigi Buffon humble as clean sheet record tumbles, but delight not universal". The Guardian. Retrieved 21 March 2016. ↑ Rob Smyth (8 May 2009). "The Joy of Six: Great defences". The Guardian. Retrieved 9 March 2016. ↑ "Nazionale: 2013, addio al catenaccio. Balotelli-Rossi coppia mondiale" (in Italian). La Repubblica. 19 November 2013. Retrieved 9 March 2016. 1 2 "Arrigo Sacchi, the magician of Milan, begins to build a new Italy". The Guardian. 22 November 2011. ↑ Giancarlo Padovan (24 January 1996). "Sacchi pretende un' Italia esagerata" [Sacchi expects an Italy side of the highest quality] (in Italian). Il Corriere della Sera. Retrieved 26 May 2015. ↑ "They said it: Arrigo Sacchi". FIFA. 26 May 2012. ↑ "1987: i primi mesi di Sacchi al Milan" [1987: Sacchi's first months at Milan] (in Italian). Canale Milan. 19 November 2011. Retrieved 26 May 2015. ↑ Francesca Fanelli (20 February 2011). "1986, Berlusconi salva il Milan" [1986, Berlusconi saves Milan] (in Italian). Il Corriere dello Sport. ↑ Franco Melli (15 January 1992). "l' Italia di Sacchi come l' Olanda di Cruyff" [Sacchi's Italy like Cruyff's Holland] (in Italian). Il Corriere della Sera. Retrieved 25 May 2015. ↑ "Borussia Dortmund vs. Bayern Munich: The showdown between 'Kloppo' and 'Osram'". PlayUp. 25 May 2013. ↑ "Tactical Twins: Arrigo Sacchi's Milan and Jupp Heynckes' Bayern Munich". Bleacher Report. 16 May 2013. ↑ "Benítez interview in 'El Gráfico'". Rafael Benítez. 5 January 2012. ↑ "A. Sacchi". Soccerway. Retrieved 31 March 2016. ↑ Jamie Rainbow (14 December 2012). "World Soccer Awards – previous winners". World Soccer.com. Retrieved 21 December 2015. ↑ "BARESI, CAPELLO AND RIVERA ACCEPTED IN HALL OF FAME". acmilan.com. A.C. Milan. 26 November 2013. Retrieved 20 April 2015.